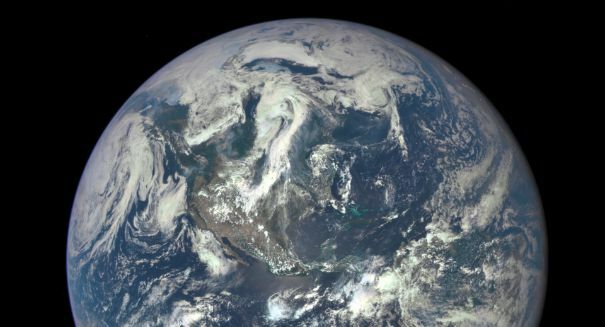 A man who greatly doubts that this picture of our Earth is real is about to launch his own rocket to prove his theory, but he's run into a snag. A California man is one of a small but growing Internet community that believes the Earth is flat, and he hopes to prove it with his own homemade scrap-metal rocket. But he’s run into a problem after being unable to get permission from a federal agency to conduct the launch on public land. Mike Hughes wants to launch the rocket 1,800 feet high to prove the Earth is flat, and has adjusted his plans to launch the rocket from private property in an unincorporated community in the Mojave Desert. Hughes expects the rocket to travel 500 miles per hour and travel a mile through the Mojave Desert, and it will just be the first phase of his plan to prove the Earth is flat, assuming he doesn’t die in the attempt. He hopes to eventually launch a rocket miles above the Earth so he can take a photograph proving that the planet is a flat disk and not a sphere.